We offer specialist advice on the seascape and visual impact of marine and coastal developments. We have provided advice on a tidal lagoon and an offshore windfarm. Swansea Bay tidal lagoon was a Nationally Significant Infrastructure project (NSIP), covering 11.5 sqkm, extending 3.25km offshore from the coast. Our work included a review of Preliminary Environmental Information, seascape and visual impact assessments, input into the Swansea Local Impact Report and Development Control Order (DCO), and commenting and contributing to written responses through to attending the hearing. Atlantic Array was a proposed major offshore wind energy development of around 180 turbines upto 160m high in the middle of the Bristol Channel. 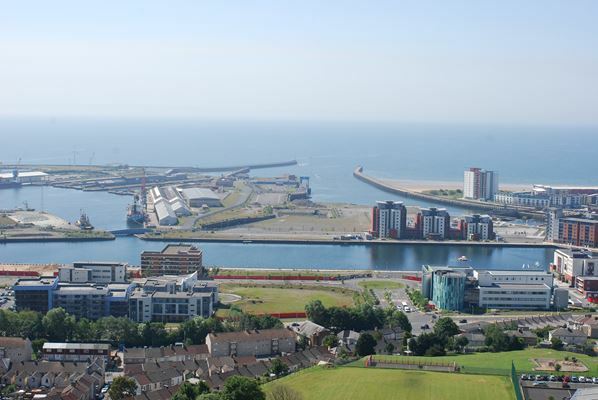 We carried out a review of seascape and visual impact assessment which was used as the basis for written representations for both Natural Resources Wales and Swansea Council.